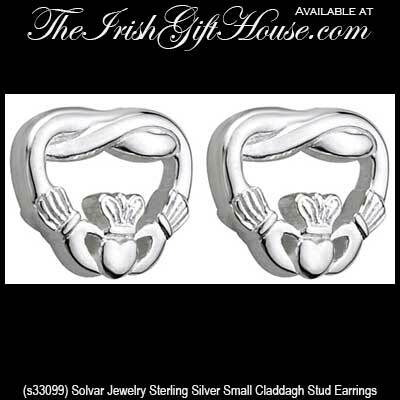 These sterling silver Claddagh earrings are 3/8” wide and they are enhanced with a weave design across the shoulders. The small stud earrings are gift boxed with a Claddagh legend card, compliments of The Irish Gift House. 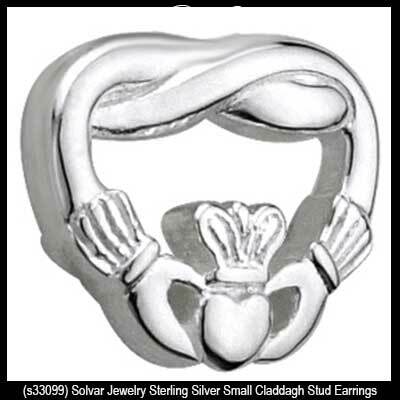 The silver Claddagh earrings are part of the Fáilte Ireland Collection from Solvar Jewelry and they are made in Dublin, Ireland.